Steve has over 30 years in experience in the construction industry and has held positions such as sales manager and vice president. 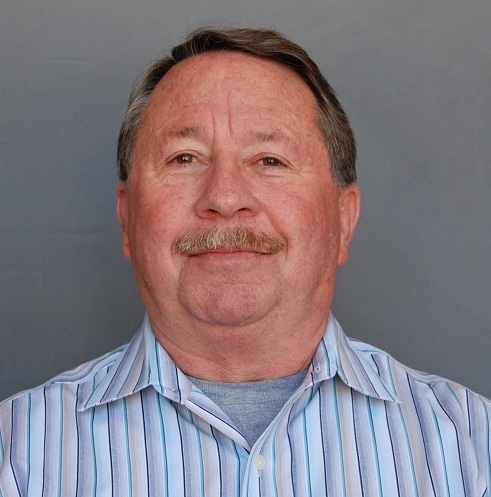 Mr. Grimes has been an industry leader serving on the Board of Directors for the Associated General Contractors and the San Diego chapter of the Building Industry Association for six years since 2003. He also has served as a member of the Board for CBIA in 2003-2004 and was an active member of their Risk Management and Insurance Subcommittee. Founder of Xpera Group, Ted has over 40 years of experience in the field of construction management, over 28 years of experience as a testifying expert witness and has been designated in over 700 construction litigation cases. He is a former President of the San Diego Chapter of the Forensic Expert Witness Association and serves on the organization’s National Board of Directors. Ted also serves on the advisory board of NoteVault, a construction technology company that provides documentation services for the construction industry. He has taught a graduate course in Construction Management at San Diego State University. Ron received his B.S. Degree in Economics from the University of Utah in 1988 and began working as a claims adjuster for Farmers Insurance handling personal injury, property, commercial liability, and workers’ compensation claims in California and Colorado. He received his Juris Doctorate from Thomas Jefferson School of Law and was admitted to the State Bar of California in 1999 and thereafter the U.S. District Court, Southern Central District. As an attorney, he has been primarily involved in construction defect litigation and also practiced in areas of mechanic lien, personal injury, insurance coverage, and real estate law. He has taken over 500 depositions and has been in over 100 trials and arbitration. He has served as an arbitrator for Arbitration Forums since 1998. Expert in the fields of lath, plaster, drywall, dimensional stone, handset applications, prefab installations, light-gauge metal stud, fireproofing, architectural pre-cast concrete, and EIFS for all types of facilities. Steve is experienced in virtually every aspect of fenestration and lath/plaster issues. His skills and experience include estimating, material take-offs, site inspection, corrective construction detail, scheduling, subcontractor and field crew coordination, contract execution, safety, etc. Steve leads Xpera Group's Building Envelope Consulting service. Active in the construction industry since 1978, with emphasis on carpentry and general contracting, John has developed strong expertise gained through work in both commercial and residential construction, range from rough framing, to finish cabinetry, and mill work. As a claims inspector and reconstruction manager in the 1990s, he inspected over 7,000 dwellings that had experienced defects with polyethylene plumbing systems, managing the resultant copper retrofits along with the preparation of detailed water damage reports and property damage estimates, and as an expert at inspection documentation, analysis, and preparation of cost estimates pursuant to insurance and litigated case work. This combination of experience as a competent contractor; inspector of construction defects, and third party new construction combination inspector has led to the current position as Director of Quality Assurance Services. Is licensed as General Contractor and is certified Combination Dwelling Inspector, Residential Combination Inspector, and Building Inspector by the International Code Council. Also certified CHEERS HERS Rater and EPA 608 Technician. John leads Xpera Group's Third Party Peer Review service. Mr. Nevin has an extensive background in real estate economics, lending and market analysis. He serves the development, investment, legal and public agency communities with residential and commercial real estate valuation, feasibility and real estate advisory services and litigation support. In his career, he has performed over 1,000 studies across the United States. Alan leads Xpera Group's Real Estate Market Research services.